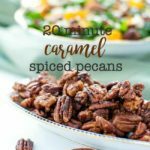 Sweet, crunchy Caramel Spiced Pecans with a chili powder kick make a great salad topper! 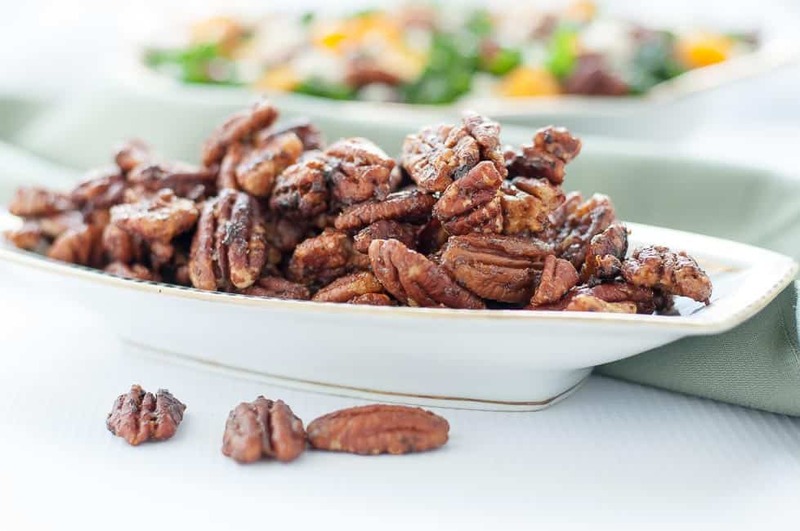 Here’s a quick and easy recipe for a holiday treat: Caramel Spiced Pecans! Ready in 20 minutes, they’re great for before or after dinner snacking. Looking for a hostess gift? These spiced nuts would be perfect for gift giving, too, wrapped in small boxes or bags. They’re sweet and just a little spicy, all at the same time. Totally addictive! 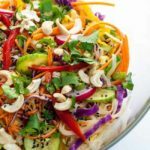 I love adding these spiced nuts to salads. They’re very simple to make. Combine pecans and caramel sauce, then add a dusting of chili powder and a little salt and pepper. Stir well, then bake in the oven until browned. Delicious! If you want to make your own caramel sauce (it’s easy), this post Salted Caramel Sauce – Two Ways includes instructions for making both classic and paleo caramel sauce. I make a batch, pour it into 1/2 cup Mason jars, and store it in the fridge or freezer. 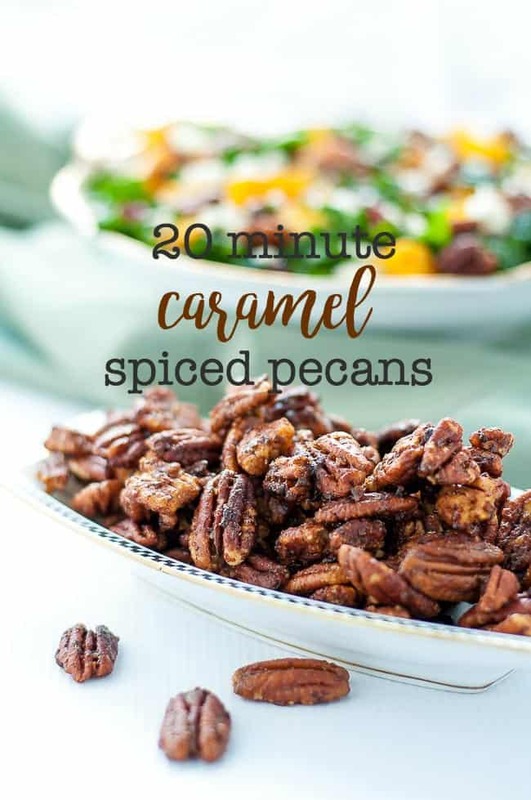 Then, when I want to make a recipe like these Caramel Spiced Pecans, Pumpkin Pecan Caramel Coffee Cake or Pumpkin Cheesecake Mousse , it’s ready and waiting for me. However, you can use your favourite store-bought caramel sauce in this recipe, too. 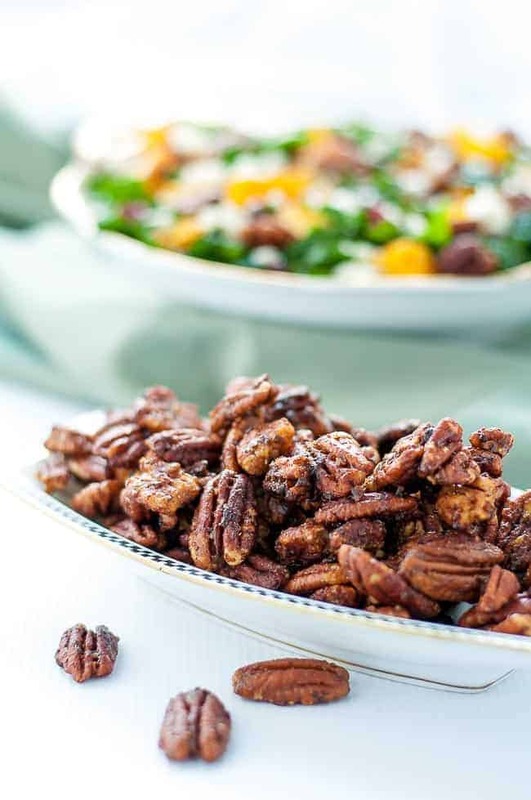 These Caramel Spiced Pecans are a perfect topping for my Butternut Squash Salad with Cranberries and Feta. 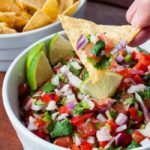 They add warm fall flavours and a sweet ‘n spicy crunch! 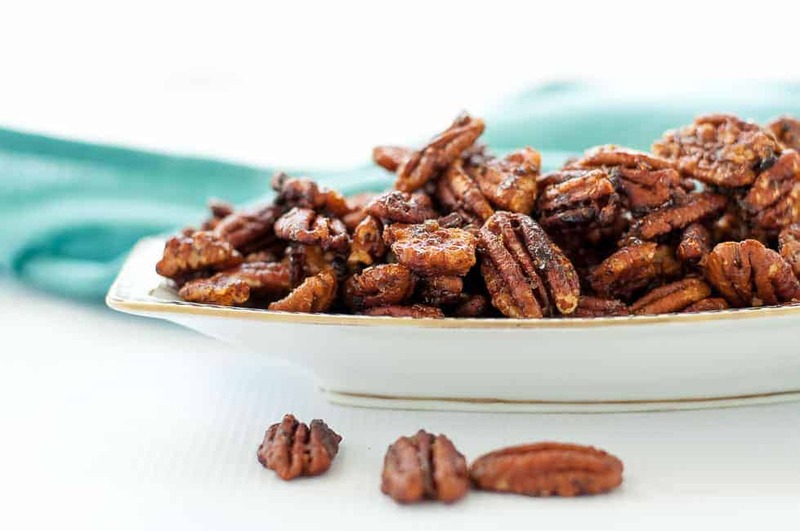 Sweet and salty crunchy pecans with a chilli powder kick! 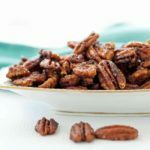 Here's a quick recipe for a holiday treat, or gift-giving or for a salad topper: Caramel Spiced Pecans. Ready in 20. Preheat oven to 325°F. Oil a baking sheet or line with parchment paper. Combine pecans and caramel sauce. Add chili powder, salt and pepper and stir until well combined. Transfer to baking sheet. Bake at 325°F. for about 16 minutes, stirring occasionally to prevent burning. Remove from oven, cool, then break apart. Store in an airtight container or package for holiday gift giving. Love spiced nuts? Try these one, too. 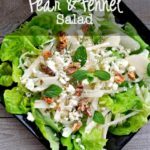 These look so perfect, especially on top of that gorgeous salad! 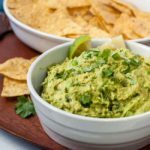 I’m always looking for yummy snacks to take hiking too, and I love the sweet savory combo here! Just made these yesterday Elaine as gifts. Delicious! Also, I had doubled the recipe for the salted caramel sauce and made dried apples for those packages. So much fun to be in the kitchen at this time of year…glad I did my shopping a while ago! I love your idea of pairing the caramel sauce with dried apples! Stealing it! Have a wonderful Christmas.